WASHINGTON—Irked that the attorney general’s brief summary of his meticulously written report reflected only a surface-level understanding of its contents, Special Counsel Robert Mueller told reporters Monday he was peeved that William Barr clearly didn’t read his stuff like he suggested he would. 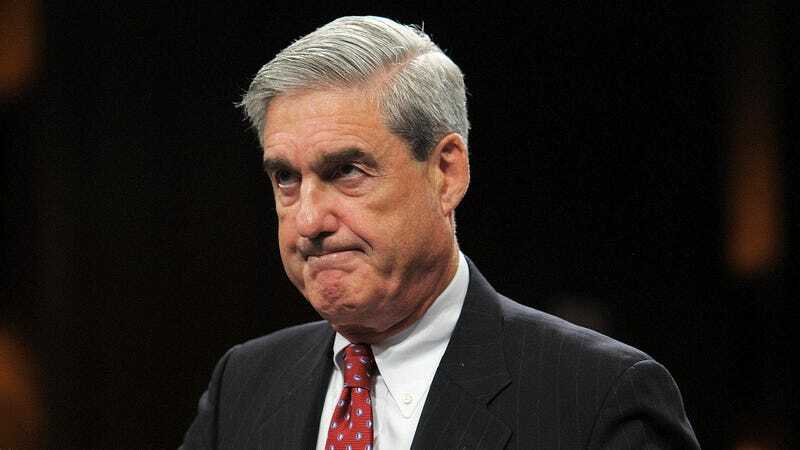 “I worked really hard on this thing for two years, put some great stuff in there, and as far as I can tell he just glanced over it briefly and tossed it aside,” said Mueller, who expressed irritation that Barr, despite assuring the former FBI director that he couldn’t wait to read his new work, had apparently not bothered to absorb the nuanced, comprehensive 300-page report before writing a cursory, four-page letter about it. “I mean, there was some pretty hard-hitting material in there—did he miss that completely? Either he skimmed through it really fast or he handed it off to an assistant without reading it all. Seriously, I put my heart and soul into those pages, and the best he can muster in a superficial response that almost entirely misses the point? What the hell?” At press time, Mueller was reportedly worried that maybe Barr flat-out hated his work and had offered the vague, bare-bones summary in order to spare the special counsel’s feelings.